Fall and winter can be deadly for houseplants, especially if your space isn't sunny enough to give them the nutrients they need. 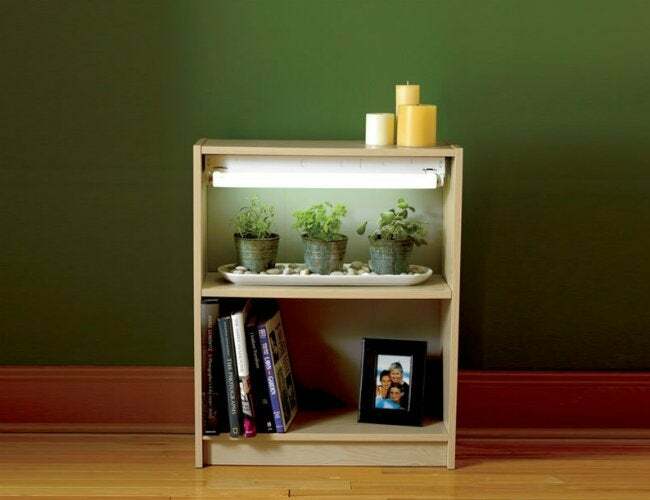 Here's how to convert your bookcase to keep your plants alive—and inside—all year long. Millennia ago, Roman philosopher Marcus Cicero wrote, “If you have a garden and a library, you have everything you need.” For Willi Evans Galloway, a seasoned pro who literally wrote the book on growing your own food, it’s a lesson worth building on. Have the library part down, but your houseplants can’t seem to survive the transition indoors for the winter? Experts recommend installing a grow light, but—as Galloway aptly puts it—“who wants a shop light hanging in their living room?” We couldn’t agree more, and that’s why her ingenious bookshelf conversion works for more than just bibliophiles. Nearly everyone wants to host a plant or two at home, as long as they’re hassle-free. But with limited light and low humidity levels, creating ideal growing conditions can get complicated—and that’s where this DIY grow light project really shines! The top interior of an otherwise ordinary bookshelf hoists the fluorescent fixture that provides a steady source of artificial rays, even in poorly lit or windowless rooms. Meanwhile, its electrical cord travels from the back of the mounted light and slips through a small hole in the back panel and into the nearest wall outlet. Add an extension cord, and you really can grow anywhere. 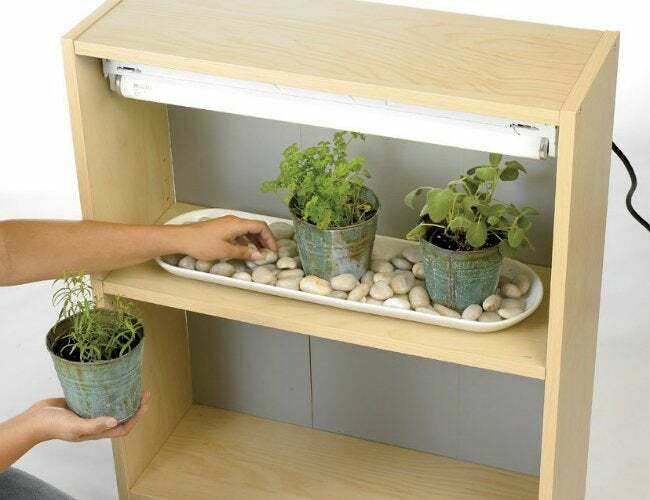 Thanks to the DIY grow light, plants (even finicky herbs and vegetables) set on a shallow tray filled with water and pebbles can survive almost anything—even a whole year indoors. As water evaporates under the heat of the light, the tray transforms into an all-natural humidifier, counteracting harmful dry air. For even more control, plug an automatic light timer into the fixture to set your own customize hours of light exposure. Galloway’s houseplant hack is as beneficial for budding gardeners as it is for ravenous readers. Tucking the bulky grow light inside the shelf and pulling the cord through the back keeps the focus on both of your growing collections. And since it’s easily adapted to a taller bookcase, you’ll have plenty of space below for books, mementos, or magazines in your new living library.